All The Little Extras: Tomato Soup: My ULTIMATE Comfort Food! 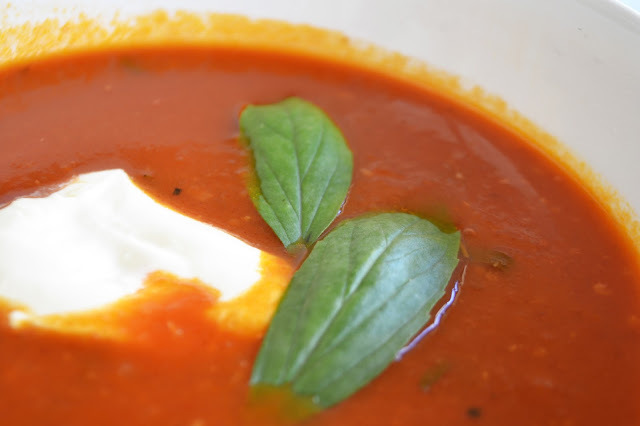 Tomato Soup: My ULTIMATE Comfort Food! 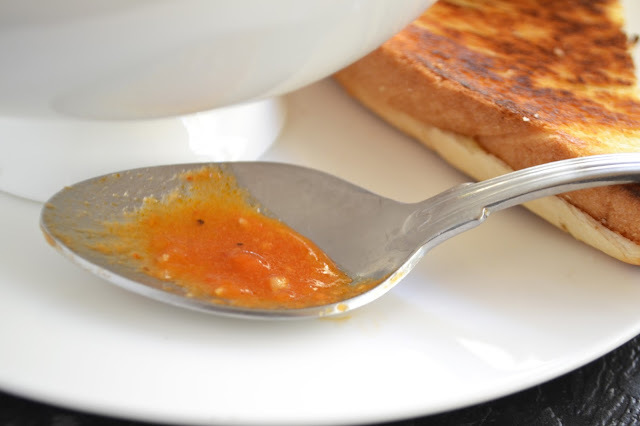 I love me some tomato soup when its cold, raining and just that little bit miserable outside. I make it nice and spicy and spiked with lots of basil. The bright flavour cheers me right up! 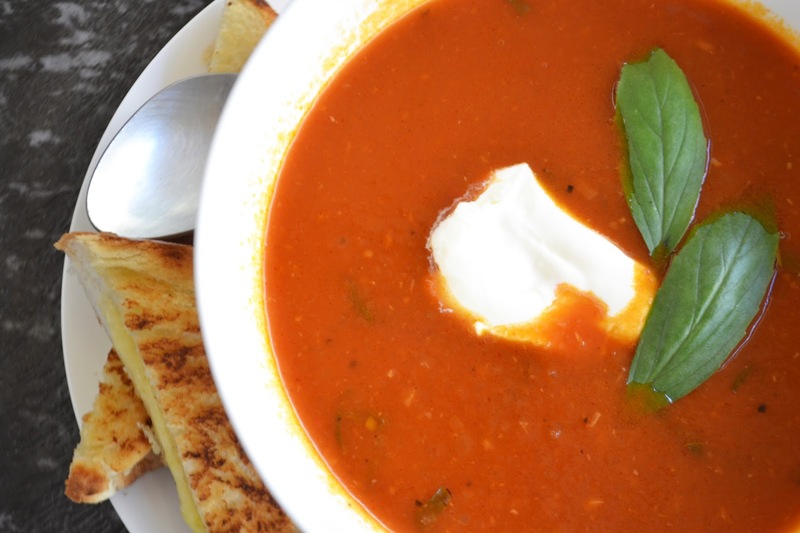 Cool sour cream and of course; tomato soup's best friend, grilled cheese, are always welcome guests at the party. 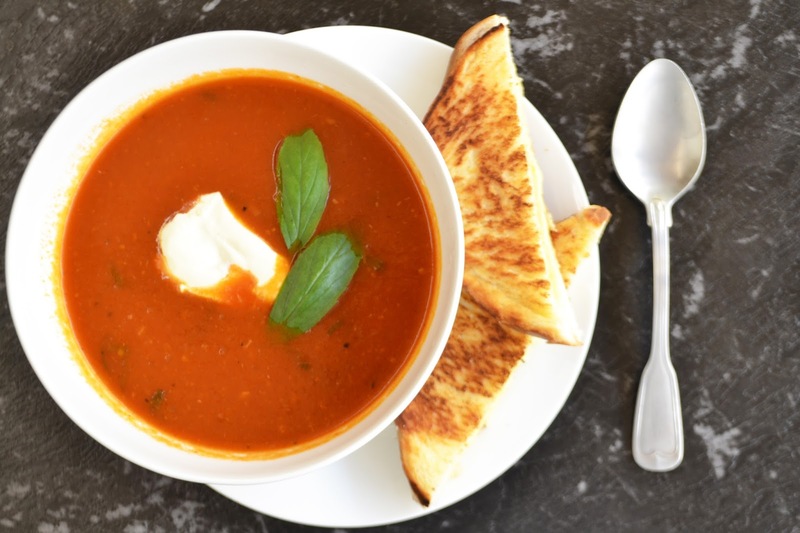 I was never much of a tomato soup fiend; mostly because of some traumatic experiences with cold, congealed cylinders of soup goo sliding out of cans during my uni years, but the excellent versions at The Roastery in Souther River and Monsi's Cafe in Claremont have definitely changed my mind! As far as grilled cheese sandwiches go, there's no need to reinvent the wheel. 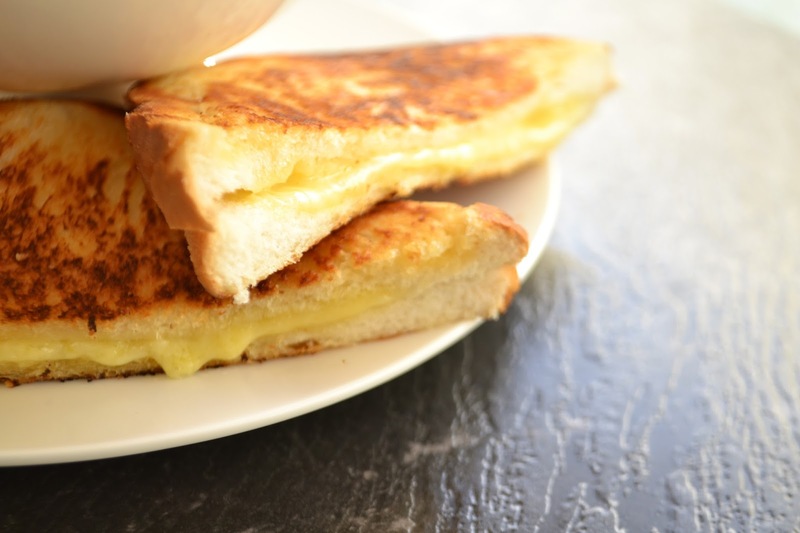 Grated tasty cheese between two slices of regular white bread and toasted in a pan. Awesome! Heat olive oil in a pan and sauté the onion till just golden then add the garlic and chilli and cook till fragrant. Add the chopped tomatoes, stock and tomato paste then simmer for 20 minutes. Season with salt and pepper. Take off the heat and carefully blitz the soup with a stick blender till its at the consistency you prefer. Stir in the chopped basil before serving. Top each bowl of soup with a spoon of sour cream and serve with a grilled cheese sandwich!